My poor succulent plant is on the brink of collapse. I think at one time it was over watered, before I got it. That's my story and I'm sticking to it. Is it too late for it? What can I do to try and save it? Unfortunately, once a succulent reaches this stage, it's pretty much game over. The only thing that can save it is to salvage the top growth and make it into cuttings, discarding the lower stem portions. It looks like there might be several pieces that could make cuttings. Cut each part as high above any rotted part as you can, while still having several leaves on the stem. They will be limp and look terrible, but you absolutely must let them dry out. This is called 'callousing' and it's truly counter-intuitive. Don't put them in water! Let the cuttings callous for at least a couple of days, then dibble a hole in some DRY potting soil, insert the end, and leave it on ignore for a week or two. After that time, carefully sprinkle a bit of water about an inch from the stem - don't get the stem or leaves wet. In about another week or two, new roots will emerge from the base of the stem where it's under the soil level - gently tug on the top to see if there is resistence. Don't pull too hard and rip it out! 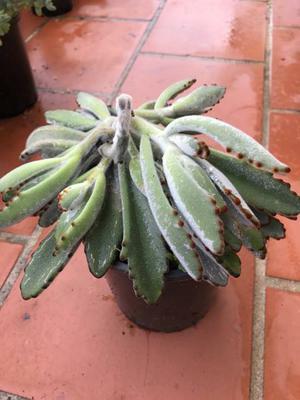 More about succulent plant propagation here.